I've wanted to become a veterinarian since before I can even remember. Well, that’s not completely true. When I was very very young I wanted to drive bulldozers. Fortunately (or unfortunately), that idea did not last long. I then decided that I wanted to be a dentist because my father is a dentist and I looked up to him. This then morphed into becoming a dentist for animals because I've always loved animals especially our family dogs. Eventually I settled on the idea that I should be a veterinarian and I've stubbornly pursued this ever since. However, I would like to mention that if someone ever offered to let me drive their bulldozer I would not say no (hint 😉 to any bulldozer owners out there reading this). If I had known that becoming a veterinarian was going to be so much work I still don't think I would have done anything differently. I cannot emphasize how much work it was. Veterinary school requires top marks to get in and so it is essential to work very hard to get those grades. I have many memories of spending long nights in front of my notes and text books studying. It was in high school where I think I started to chase "A" grades although I did sometimes have to settle for less. Fortunately, my parents were strict when it came to enforcing homework and study time. I often hear stories from friends on how they partied a lot in high school. To me this is unimaginable. I was on the varsity swim team for all four years of high school and played on the rugby club during my last year in high school. When I wasn't doing these things, then I was working on my studies. I wasn't allowed much extra time to do anything more. College was probably one of the most fun filled periods of my life. I escaped from home, made lots of new friends, and partied hard. Fortunately, I've always been very goal oriented and once I set a goal I don't deviate. In college, I still made sure that I studied hard although I now had to figure out how to most effectively stay focused on my work especially when there were distractions everywhere. To escape distraction I was forced to venture forth and discover the coffee shop. Between cafes and various school libraries, these were the locations where I spent the majority of the time studying for the duration of my career as a student. When it was time to graduate from university, I had applied to about 15 veterinary schools. I figured that the more schools I applied to, the better my chances were at getting in. It was during this time that I realized how expensive it is to apply to these schools. When all the responses from each of these veterinary schools turned out to be letters of rejection, it was extremely painful. However, this did not break my resolve (just my wallet); it only strengthened it. It's times like these that you must sit down and re-think your strategy. You must start thinking like an admissions officer. They get hundreds if not thousands of applications. What is going to set my application apart from everyone else's? My grades were decent and I had some small animal experience working at a local vet hospital during the summer months back home. However, these are things all vet school applicants have. Admission’s officers want a well-rounded student. I had very limited experience working with large animals, no experience with exotic animals, no experience in research, and I had no real exciting life experiences that would wow a vet school admissions officer. The next couple of years I spent gaining new experiences. I spent a summer at the Duke University primate center working with Lemurs. In the fall, I started graduate school. At the same time, I worked part time at a local small animal veterinary hospital and I volunteered time working with a large animal veterinarian. In graduate school, I studied immunology and worked in an immunology laboratory. During this time of my life I learned a lot. I got to grow cells in petri dishes, play with expensive laboratory equipment, and could immerse myself in a subject that I found fascinating. Unfortunately, I also learned how much I disliked lab work. I realized that in science, for every successful experiment, there are hundreds of unsuccessful ones. I think that I just didn’t have the patience for this. Fortunately, being as persistent and as stubborn as I am, I forged on and continued to apply to veterinary schools until I finally got accepted. Veterinary school was amazing. I had just been reading the Harry Potter series and I remember at the time comparing my first couple of weeks in veterinary school to Harry’s first weeks at Hogwarts. There were so many new things to absorb. It seemed magical (in a muggle sort of way). Of course, there were no magic spells to learn but being immersed in veterinary medicine was like learning a language I had never known before. I found myself suddenly in a completely different type of environment where I was surrounded by people who all had very similar goals and interests as myself. Even though it was grueling work, I look back on the experience fondly. 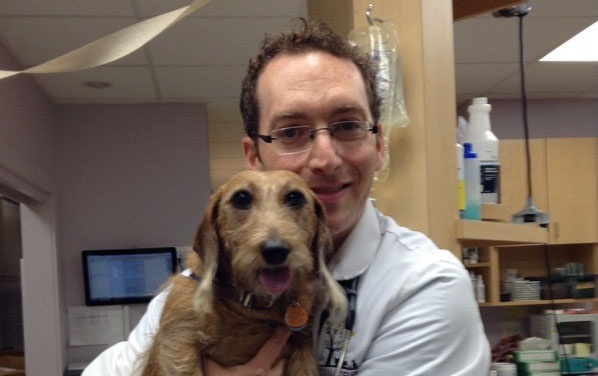 For the last 10 years, I had dedicated myself to the practice of veterinary medicine but very recently have stopped. This was both sudden and unexpected. I worked the long hours, enjoying the relationships that I had built with both my veterinary staff as well as with the clientele who’s pets I helped. Of course, I also enjoyed the challenges that come with healing pets. However, a new opportunity had arisen. I still work within the profession but now it is in a completely different capacity. 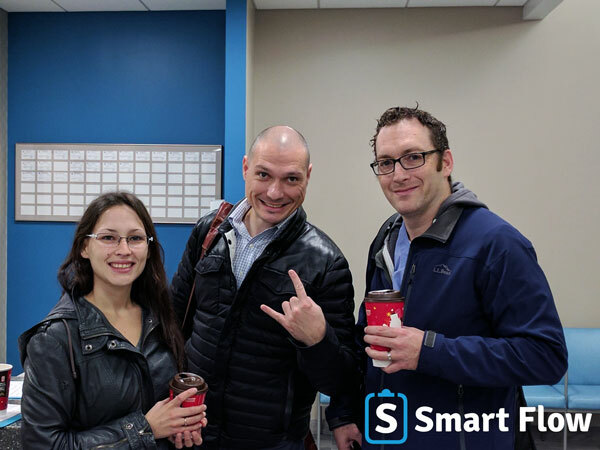 Before I was healing dogs and cats, now, at Smart Flow, I am healing veterinary hospitals by improving their work flow and increasing their efficiency (I apologize for that super cheesy sentiment). I do hope that one day I will have the time to do both and get back into the clinic to help pets. However, right now I am enjoying this new adventure. Time spent working or volunteering in as many facets of veterinary medicine as you can (General Practice, Specialty, Emergency, Exotics/Zoo, Research, etc). This will not only give you a better understanding of veterinary medicine but it will help you figure out what kind of veterinarian that you would like to be. Investigate the profession. What kind of veterinarians are currently lacking? Most veterinarians want to pursue a small animal focus. The industry needs more large animal veterinarians. Admission officers know this. When it’s time for the interview be confident. This is everything. Just don’t be overconfident because you don’t want to look like a jerk. During your interview, be able to tell your story. Talk about the things you have done and how its lead you to where you are and how it will get you to your goal. Read the news and understand world events. This not only makes you a more intelligent human being but it is our responsibility as a contributing citizen of this planet. Also, it makes you more interesting. If you can incorporate current events into your story, then all the better. Are you a veterinarian? Share your story below in the comments, I'd like to hear it!